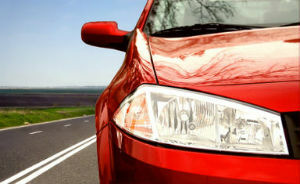 The cost of car insurance for similar cars can differ by £100s even if they are in the same insurance group, Which? research has revealed. The Association of British Insurers and car research organisation Thatcham group similar vehicles together to make it easier for providers to calculate premiums and help drivers find cars that are cheaper to insure. However, while the group rating system takes a number of factors into account – including safety, security and performance – the cost of insuring cars in the same group can still be vastly different. A driver searching for cover for three different cars in the same low-risk insurance group – the Fiat 500 Pop, Ford Fiesta Studio and Vauxhall Corsa Active, which each have three doors and 1.2 litre engines – routinely received quotes where the difference between the cheapest and the most expensive policy was more than £100. Aviva quoted £1,392 to insure the Corsa and £1,029 to cover the Fiat – a difference of £363. The quote for the Ford Fiesta, meanwhile, was £1,141. LV quoted £1,251 for both the Fiesta and the Corsa but the cost of covering the Fiat was £1,570 – a difference of £319. The quotes offered by Direct Line had the least variation, with the cost of insuring the Fiat, Studio and Corsa at £913, £1,001 and £1,003 respectively – a £90 difference. The difference in insuring the three cars was £197 with Esure and £91 with Admiral. According to the insurance industry, the quotes vary because there are many other factors that the group rating system cannot take into account, including how attractive the car is to thieves and whether the insurer has the appetite to take on the risk. Here are three top tips to help you lower the cost of your cover. For more guidance see finding cheap car insurance. Use a comparison site to find a number of quotes quickly and easily. Remember to check the details of the policies you are interested in to make sure they have everything you need. Insurers reserve the best deals for new customers. Never allow your policy to roll into another year without shopping around for a lower premium. Even if you want to stay with your current provider, getting quotes from competitors can be a great way of getting a better deal. Once you’ve found a cheaper rate you can use this as a platform to haggle.